Used to hear this song on the radio with my brother. And recently heard a saxophone version of it from Saxapella. With a phrase like this, you can use it in a sax solo. Maybe take it in a different direction/change the style. Notes for alto/bari are written below the video. 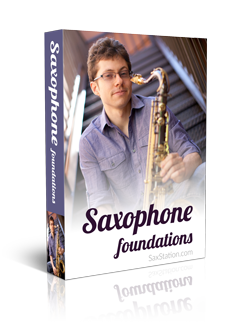 I must admit that your style and approach to teaching sax is not only unique, but very encouraging and motivating. Great stuff! Where can I get a hold of the entire sheet music for “No Diggity” for Tenor?